For years -- ever since the Great Recession ended -- pundits have been pontificating about a strange trend in corporate America. Despite earning record profits, and having the ability to borrow cash easily, companies were refusing to spend. Like Scrooge in his office, they were raking in profits ... and then sitting on them, refusing to put the money to work to grow the American economy. Or so the story went. But was it true? Is it true? It turns out that this real story is a bit more complicated; and you'll be surprised where a lot of that cash came from ... and what it needs to be spent on. Every complex tale grows from a kernel of truth, of course, and this one actually grows out of two such kernels. It's true that American corporations are fabulously profitable today. According to the Department of Commerce, profit margins at U.S. companies in 2013 were regularly hitting levels of 9.3 percentage points -- more than 57 percent higher than average over the past 60 years. Also true is that these profits, in turn, yielded a lot of cash for the corporations earning them. From 2006 through mid-2013, total cash reserves at U.S. nonfinancial companies (i.e., everything but banks) nearly doubled, rising from $820 billion to $1.48 trillion, an 81 percent increase. 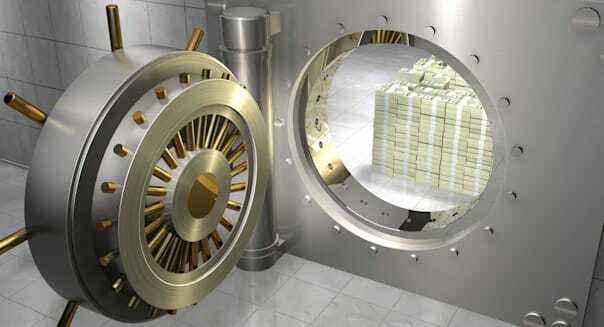 Credit ratings company Moody's (MCO) recently estimated that cash levels at the end of 2013 probably hit $1.5 trillion. Particularly flush is America's tech sector. Four of the top five holders of cash are tech companies Apple (AAPL), Microsoft (MSFT), Google (GOOG) and Cisco (CSCO), who together possess $345 billion in cash reserves, or about 23 percent of all cash owned by corporate America today. Overall, the tech sector controls more than half of such cash: $515 billion. Now that we've got these facts on full display, let's move on to the three myths they've given rise to. Myth No. 1: Companies aren't spending. With so much cash sitting around on their books, it's logical to conclude that American companies must not be spending -- not hiring, not buying equipment (which spurs other companies to hire), not increasing dividends (which puts cash in consumers' hands, so they can spend). As such, corporations are getting a bad rap for "holding back the American economy." In fact, though, looking at Moody's data we see that while corporations did tighten their grip on their cash during the downturn, now, they're spending again. From 2006 through mid-2013, capital spending at American nonfinancial corporations has grown 45 percent to $868 billion annually at last report. Annual dividend payouts by such companies have grown in tandem, up 43.5 percent to $366 billion annually. Myth No. 2: Companies are saving more than they need to. It is true that cash levels have grown much faster than spending -- 81 percent over the past seven years, versus 40-odd percent for spending. Yet viewed from another perspective, companies really aren't putting all that much more of their cash in the bank than they have in years past. As Moody's senior vice president Richard Lane pointed out in an interview with us, if you examine American nonfinancial corporations as a whole, and how they used their cash in 2006, what you'll find is that they generated about $8 trillion in revenues from their businesses back then, and kept about $820 billion in cash -- 10 percent of annual revenues -- in reserve. Compare that to today's habits, and what you'll see is that this same group of companies is generating about $11 trillion in annual revenue, and keeping about $1.5 trillion in cash on the side. So they're sitting on a cash cushion equal to roughly 13 percent of annual revenue. It's an increase in savings, to be sure. But it's not as big of an increase as you might have heard. Myth No. 3: All this cash is just sitting around for no reason. All of this saving has added up to $1.5 trillion in cash reserves. That's a fact. But is it true that this is cash companies are free to spend, and invest in the economy, to get America growing again -- but they're just unwilling to spend it? Perhaps the most surprising revelation about the $1.5 trillion in "cash on the sidelines," though, is that corporations aren't entirely free to spend it as they wish. This is because not all of this cash was amassed from profits that the corporations earned. A lot of it is money that they borrowed. As shown in the first chart up above, companies grew their cash reserves by $33 billion over the six months from the end of 2012 to mid-2013. Meanwhile, the past 12 months have seen a $201 billion increase in corporate debt. "Apples-to-apples," says Lane, "that means that over the past year at least, companies have increased their debt by a factor of six relative to cash growth." Lane went on to say that "the increased debt reflects a very accommodative bond and loan market in 2013, with low overall costs and attractive terms for borrowers." Result: Today, nonfinancial companies have stacked up a staggering $4.8 trillion worth of debt owed to their lenders and bondholders. A lot of this debt must be repaid in relatively short order. According to Moody's data, some $1.53 trillion in nonfinancial corporate debt matures over the next five years, which is actually a bit more than the $1.48 trillion in cash they've got on hand. And so this is the real revelation: That "$1.5 trillion" that U.S. corporations supposedly have stashed in the bank, and are just too stubborn to spend? It's really not theirs for the spending at all. Every penny of it -- and more -- is already spoken for by the banks and other creditors who lent them the money. Investors waiting for the happy day when all this money comes "off the sidelines" and floods into the market, lifting the economy, may be kept waiting far longer than they expect. What we should really be worrying about is the risk that corporations will have to take even more money out of the economy, to pay their debts. Motley Fool contributor Rich Smith owns shares of Apple. The Motley Fool recommends Apple, Cisco Systems, Google and Moody's. The Motley Fool owns shares of Apple, Google and Microsoft.